Audiology is the study of hearing, balance, and the disorders related to the two. Audiologists help prevent hearing and balance disorders, identify and assess disorders, and rehabilitate those who are affected by these disorders. By helping individuals with hearing and balance disorders, audiologists help ensure that individuals are able to fully interact with others and to fully enjoy life. Audiologists can help many prevent, or at least minimize, hearing loss, allowing people to continue to enjoy listening to music or just hearing the chatter of friends. Because hearing and balance disorders can strike any segment of the population, audiologists work with children and adults alike. Audiologists generally work in hospitals or other clinical settings. They can also be found within schools and universities. To become an audiologist, one must complete a doctor of audiology degree (Au.D.). In order to receive a doctor, one must first receive a bachelor’s degree. There is no specific undergraduate major needed to become an audiologist, but having completed coursework in anatomy, physiology, math, speech-language pathology, and physics will be beneficial. An Au. D. will require at least four years of further study beyond the undergraduate level. In addition to finishing schoolwork, an aspiring audiologist must also complete supervised clinical practice. Before a budding audiologist may engage in clinical practice, he or she must be certified. Certification is granted through either the American Speech Language Hearing Association or the American Board of Audiologists. While an audiologist has a doctorate degree and clinical training, an audiologist is not a medical doctor. A general practitioner may refer a patient to an audiologist if the family doctor suspects a hearing disorder. 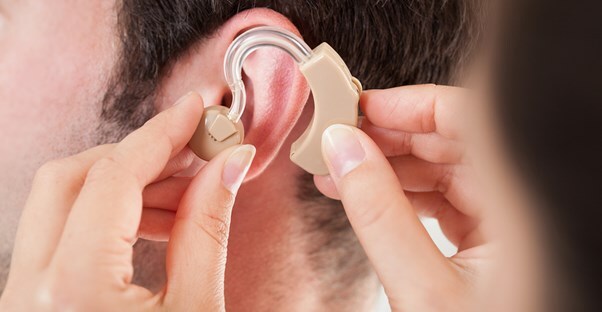 After the audiologist assesses the patient’s hearing condition, the audiologist may then recommend non-surgical treatment, such as the fitting of a hearing aid or cleaning out an ear canal. The audiologist can carry out non-surgical treatments, but requires the help of an otolaryngologist, a doctor who specializes in the treatment of ear, nose, and throat problems, for surgical treatments. Otolaryngologists, better known as ENT doctors, will carry out the audiologist’s prescribed surgical treatment. Newly minted audiologists can expect to earn about $73,000, but that number varies depending on where an audiologist works. Audiologists who work in colleges and universities will tend to earn more than those who work in hospitals.